Some public figures end up popularizing their favorite fashions; a select few have their fashions named after them. That was the case for Indian Prime Minister Jawaharlal Nehru, who effectively took India's reins from none other than Gandhi (his mentor) as the first Prime Minister of a free India. Hardly reminiscent of Gandhi's famous homespun clothing, the Nehru jacket is a descendant of the northern Indian achkan, a closed-neck, coatlike garment usually considered court dress for Indian nobility. 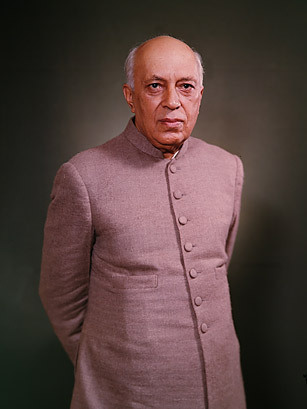 Indeed, it was when the jacket was marketed to Western audiences that it took the "Nehru" title, the charismatic Prime Minister having popularized its style in public appearances during his tenure in government. Nehru wasn't the only prominent figure associated with it; the minimalist aesthetic of the jacket inspired the likes of the Beatles (who wore the style at their Shea Stadium performance) as well as Sammy Davis Jr., who claimed to own more than 200 of the jackets.